Cap Creations: 50 Free Holiday Cards for You and Me! 50 Free Holiday Cards for You and Me! The Holidays are quickly approaching, have you given any thought to your Christmas Cards? Christmas cards are actually something I put a lot of thought into each year. And I start early because I like them to look great and I like them personalized. For many the Christmas card is the only time of year to be in touch with others and a great opportunity to show them how you and your family have all been doing. Adding a picture to your card is a great way to do that and over the years you can look back at those photo cards and see how everyone has grown and changed. A photo is a must for our card, be it a family photo or just the kids, there is a photo every year from us. 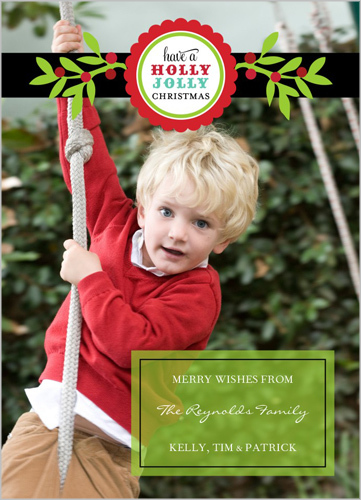 As I was browsing through the Shutterfly selection of Christmas cards I was quite pleased with what they have to offer! What I love most about them is they allow you the ability to customize these cards with photos and text. Yeah just what I needed! Let me share just a few of their great products. Christmas Cards, and a huge selection of them! Folded cards, flat stationary cards printed on premium card stock and photo cards printed on photo paper. 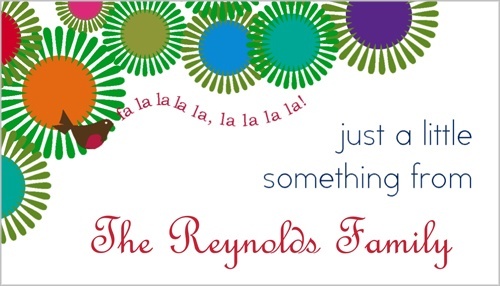 What better to go with you custom cards than matching Christmas Address Labels? Presentation means a lot. I am also loving the Christmas Gift Tags. I don't know about you but for us these would sure come in handy for all those baked goodies sent out to neighbors, teachers and friends! A quick and easy pre printed tag! Be sure to tell them you found this deal at Cap Creations!